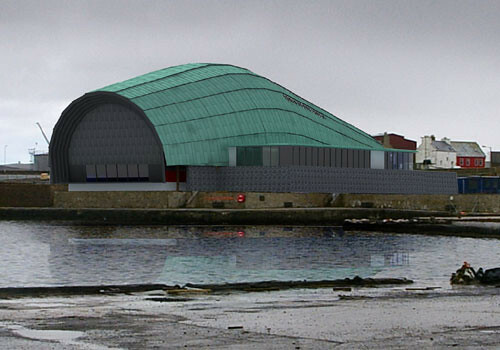 This was our submission for a recent limited competition for a Music and Cinema Building in Lerwick in the Shetland Islands. The site chosen for this building, whilst prominent from the water and from the ferry, is hidden from the centre of Lerwick and indeed potentially unseen from Commercial Road. 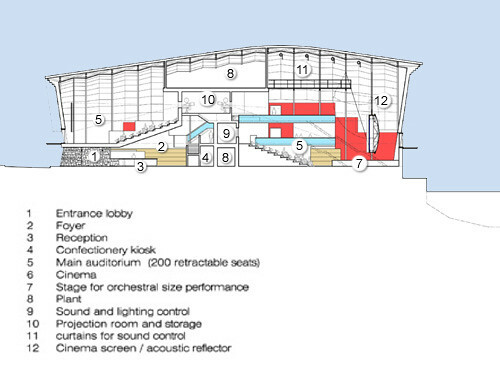 To ensure that the building becomes a destination, not just for locals but for visitors too, we thought it important for it to be a highly distinctive and recognisable shape. 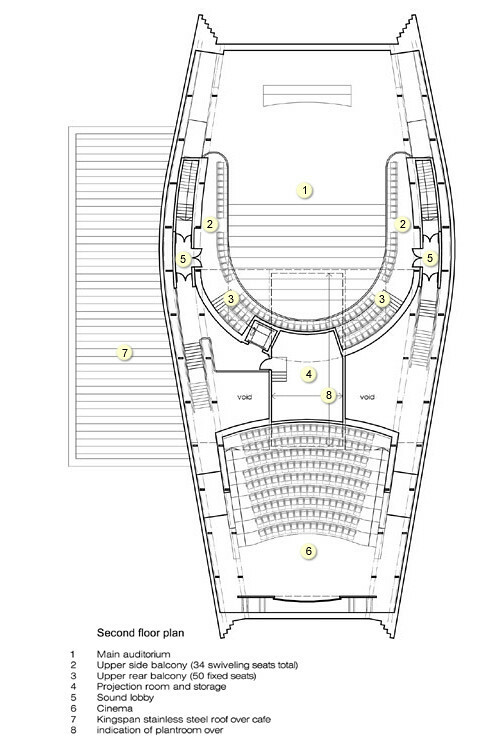 Although the imagery of an upturned boat has been somewhat hijacked by the Scottish Parliament, on this occasion we considered that it would be a highly appropriate starting point for creating a distinctive shaped building. Our building is a bright green copper object sitting above a local landscape of dry-stone walls taking their cue from the recent walling made on the site. 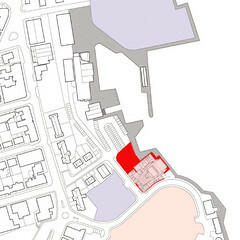 In this way, it would be recognisable from both a distance from across the bay and from Commercial Road. 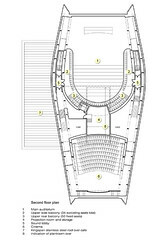 Its entrance is immediately obvious on approach and the building becomes a route from the land to the water. 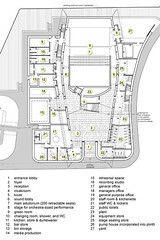 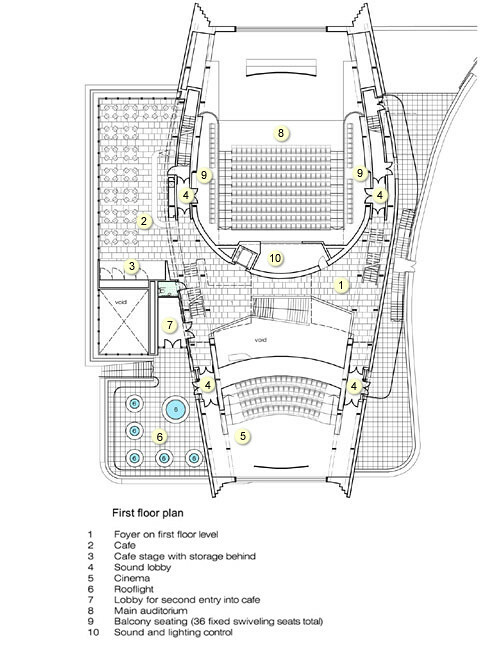 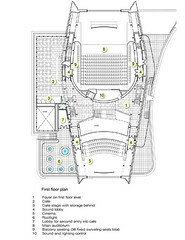 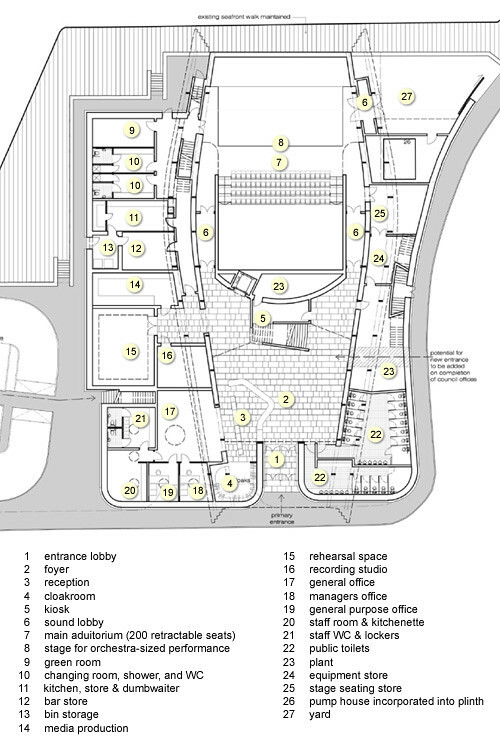 The two main public spaces of theatre/cinema and cinema are placed back to back sharing a projection suite. 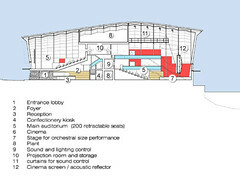 The boat-like structure seen first as a copper object from the outside, reveals itself as an all-encompassing double walled timber structure from the inside. 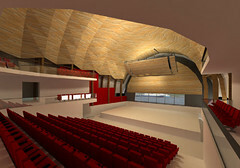 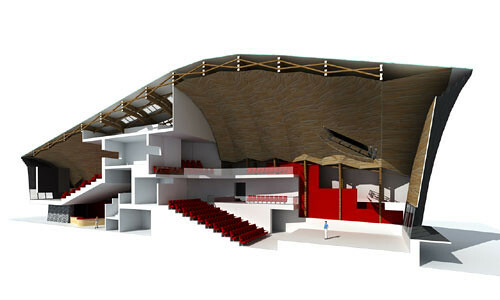 Internally, the revelation of the main theatre space is as a building inside this overall timber structure. 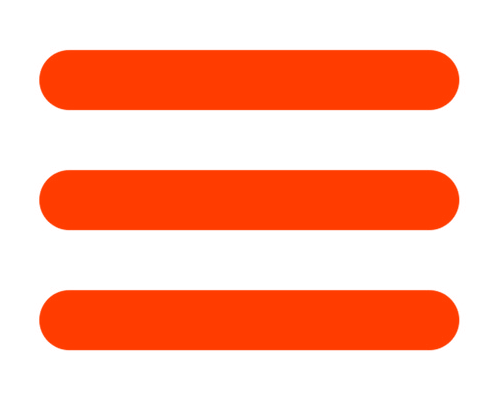 Although the judging panel gave our design the top mark, it was also a fee competition and we were undercut by a competitor to finish overall just in second place.